The American State Science and Technology Institute (STTI) released a map of all SBIR and STTR awards distributed in the United States, by metropolitan areas between 2013-and 2017. 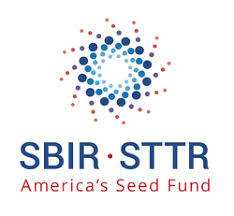 The SBIR and STTR awards are given by the American Seed Fund, a fund managed by the Small Business Administration, at the Federal level. The SBIR (Small business Innovation Research) award is intended to SMEs: it awards SMEs who engage successfully in technological innovation. The programme enables to stimulate technological innovation, whilst meeting Federal research and development needs. The funds obtained through the award support the commercialisation of the innovation. The STTR (Small Business Technology Transfer) award provides funding opportunities to create public private partnerships between State universities research programmes and SMEs, to valorise public research. In fours years, more than 25,500 awards were distributed. The map reveals that the most awarded metropolitan areas are those which are the most connected to research hubs such as Boston, Los Angeles and Washington DC. More interestingly, the map brings forward smaller regions which also invest highly in R&D and notably Huntsville, Alabama, Santa Maria, California and Dayton, Ohio. Overall the map shows that innovation is very concentrated in the United States, bringing forwards the inequalities of the economic development, despite some interesting outsiders. These last reveal some interesting features about local universities providing good technological results.